My trusty old digital camera finally gave up the ghost, so I'm forced to improvise a bit this week. 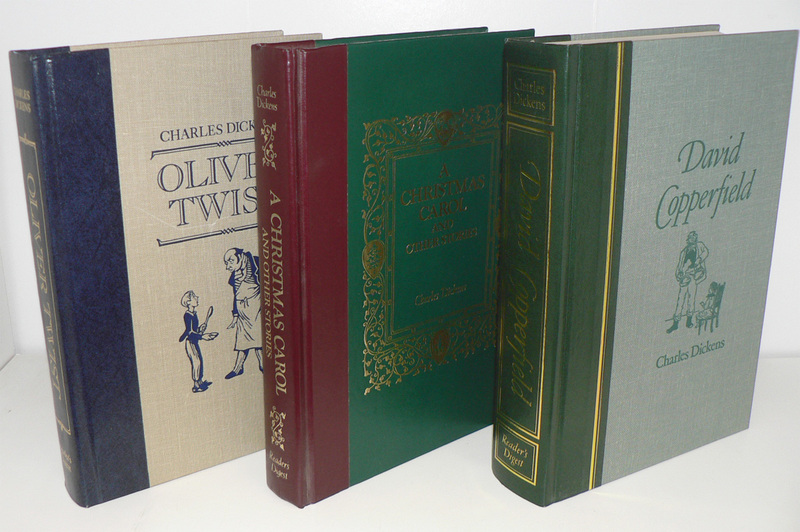 Today's giveaway includes these eight classic titles, in semi-matching bindings. 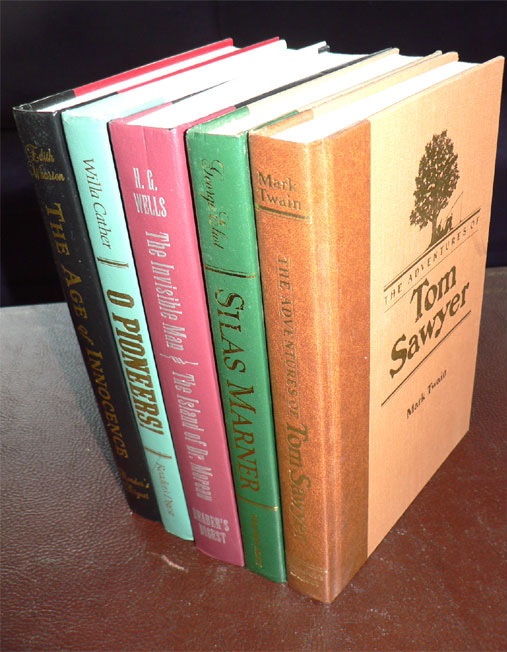 All are published by Reader's Digest. Contest now closed, winner announced shortly. Definitely want to enter for these. Would love to have these. Please include me in this week's giveaway. thank you! I have not read any of those, and I would love to have them. I'm entering ! These are lovely copies that would be at home on my shelves! A wonderful collection. Thanks for the generous give-away. I haven't read as many classics as I should have by now; I'd love to start with these! Count me in please. Thanks! Thanks for these weekly give-aways. I sure enjoy the bookmarks you share. Love to win these... especially the Dickens. I would also like to enter the giveaway.